It is well known that the Canadian banks performed very well during the financial crisis relative to their global peers, and the U.S. banks in particular. 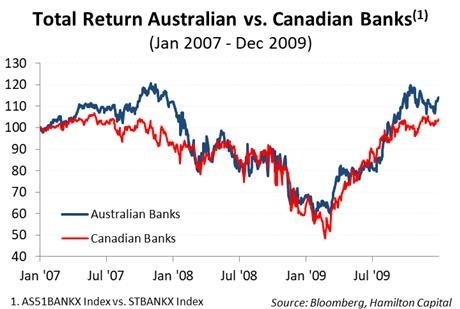 However, what is less well known is that the Australian banks did even better than the Canadian banks, generating higher returns from 2007 through 2009, the years encompassing the financial crisis (see chart below). As we explain in “Dividend-Heavy Australian Financials: History of Outperformance vs Canadian Peers”, the Australian financials have generated double-digit annualized returns in the past 10 and 15 year periods (ahead of the Canadian financials). The primary reason for this outperformance is that the Australian economy typically outgrows the Canadian economy and has higher GDP per capita. In short, the Australian financials operate in one of the wealthiest and most successful economies in the world. In fact, Australia is forecast to be the fastest growing large developed economy in 2019 at 2.8% (versus Canada at ~1.9%)1Source: Bloomberg, as of December 17, 2018. and has not had a recession since the early 1990’s. 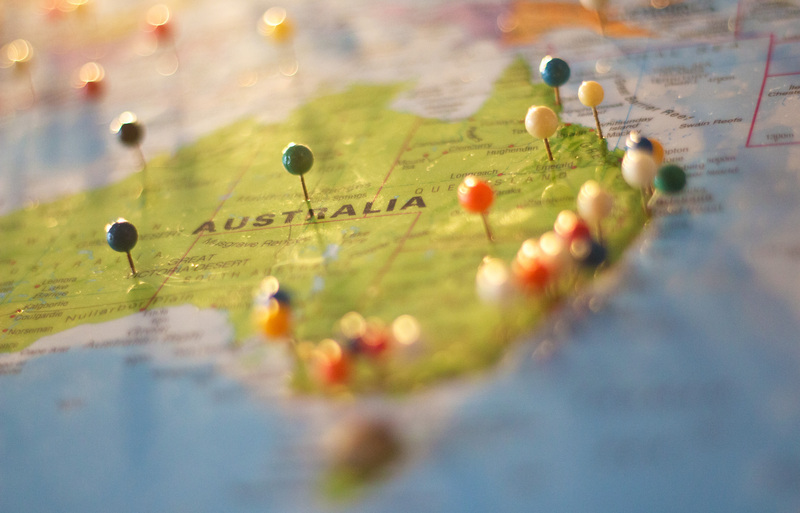 The Hamilton Capital Australian Financials ETF (HFA) pays monthly dividends, and invests in Australian financials, one of the strongest in the world, which outperformed their Canadian peers in the last ten and fifteen years. HFA seeks to generate a yield of 6.5% or higher, aided by covered calls. The Hamilton Capital Canadian Bank Variable-Weight ETF (HCB) pays monthly distributions and invests in in the Big-6 Canadian banks. HCB seeks to capitalize on one of the most popular themes in Canadian bank investing – mean reversion – by rebalancing each month to overweight the 3 recent underperforming banks to 80% and underweight the 3 recent outperformers to 20%. Its current yield is 3.5%2As of December 14, 2018..